Trainers, the Showdown event has recently ended, bringing everyone tons of Fighting type Pokémon, some even Shiny! Lucky, we’re simply trading something cool for something even cooler (or should we say hotter?). Charmander’s Community Day is only a couple days’ away, and Shiny Charizard is the reason why we are all so excited for this month’s Community Day! You can read our guide on the best ways to prepare for this month’s event here. The Hub is once again reaching out to all of our amazing readers and community to share their experiences with the world. Last month, the Hub received an astounding number of responses (which has been growing every month) that we added to the Global Photo Atlas, and we’re hoping that this month the project grows even larger! Can we reach 250 submissions? 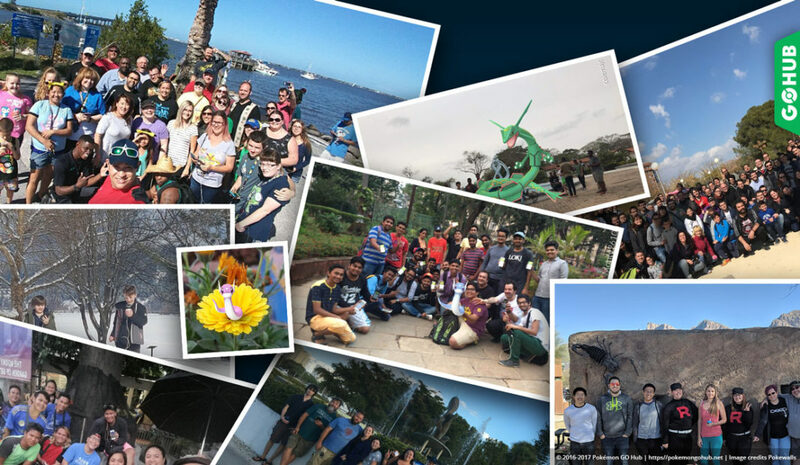 Our goal is to eventually have the entire map covered in Community Day photos and testimonies from around the world. 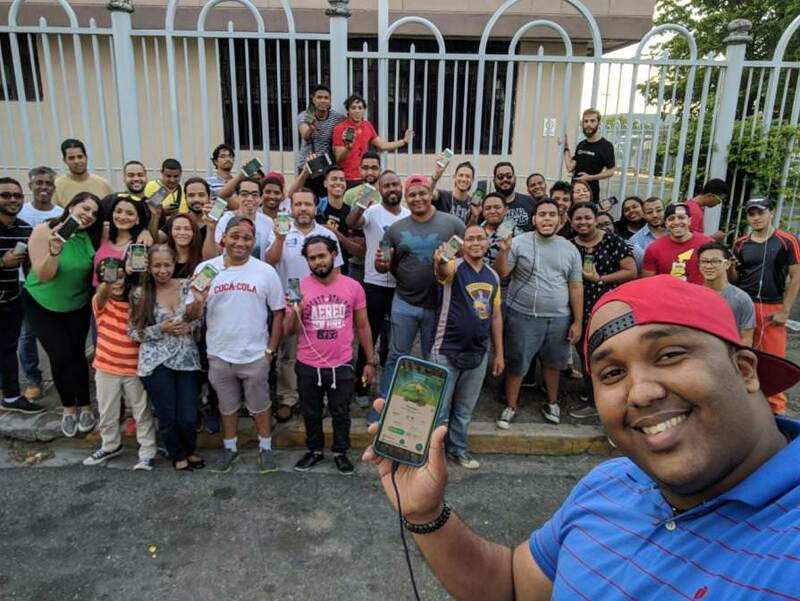 During or after the event, take a couple pictures of your local Pokemon Go Trainer community! 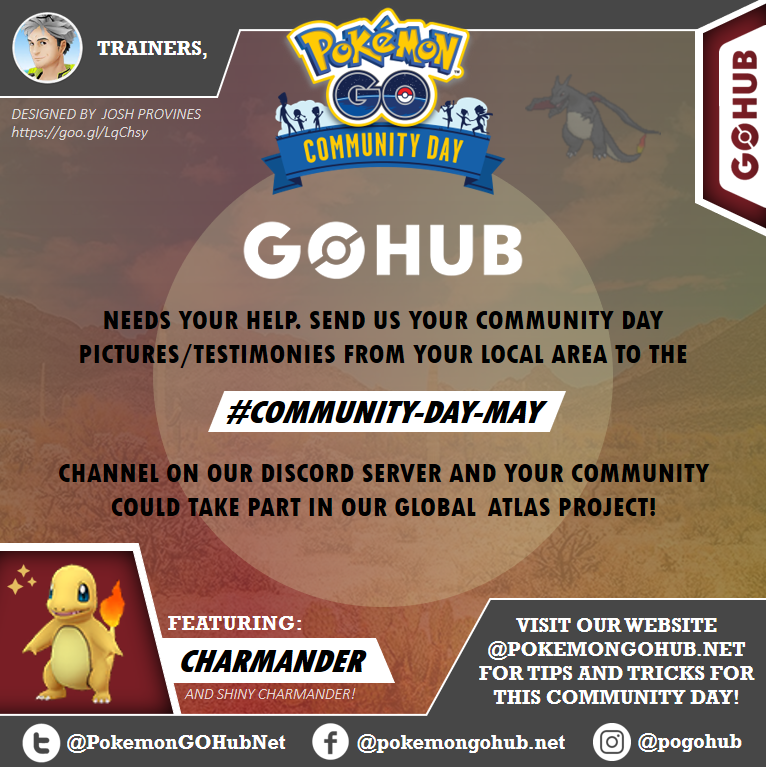 Send those pictures / stories to us on Discord using the #community-day-april channel, or on Facebook / Twitter using the #PokemonGoCommunityDay and #ForTheHub hashtags. Make sure you include your location with all submissions to ensure that all contributions are placed in the correct places on the map! We are looking for pictures of the actual members of the community, not game screenshots! Shiny Charizard is certainly a fan’s favorite! We, at the Hub, are excited to see its appearance as well as all the amazing members of our Global Community again this month! Artwork credit goes to Josh Provines of the Hub Team. How does the map look like now?